Adding a Cloud Based Version Control System to WordPress is needed when you need to create a software repository on your WordPress installation to allow few. The perfect example is Official WordPress Plugin repository, where a developer, after the initial approval can access the subversion. In this guide, we will give you the idea for adding a Cloud Based Version Control System to WordPress, where the root administrator of WordPress as well the Version Control System. We previously wrote about Revision Control or Version Control in Details. As this method is not used by the mass, even the few who searches with the phrases for adding a Cloud Based Version Control System to WordPress, has the intention to use Git to update WordPress from WordPress.org repository. Google search for this reason, actually shows up completely wrong tutorials for the purpose. So, it is practically impossible to find good (or bad) tutorials on adding a Cloud Based Version Control System to WordPress. Quite good grasp on PHP, WordPress, Theme and Plugin development, Sub Version Software’s mechanism, serverside works needed to to be known. Less number of ready made plugins to integrate. Cost of maintaining a Subversion with SSL is technically and by cost is quite higher. As frankly I understood after researching the thing for quite big time framework, it is difficult to make you understand in few minutes; still the most cost effective, most customized, most headache free, almost ready made method is described for adding a Cloud Based Version Control System to WordPress. First, for the repository part, you can use Heroku Cloud as you will get a SSL for free. Whether you actually have root access on your main WordPress website or not, it will not matter at all. If you are thinking that bbPress is very basic forum software, you are fully wrong. bbPress is used by WordPress.org as well as many third parties like Dropbox, it can effectively handle high load of traffic which many paid forum softwares will fail. The reason is, bbPress can easily be made scalable with multiple scalable database, just like WordPress. The difference with WordPress with bbPress is – the number of developers of bbPress is less than WordPress. Yes, microformats, rel tags etc. 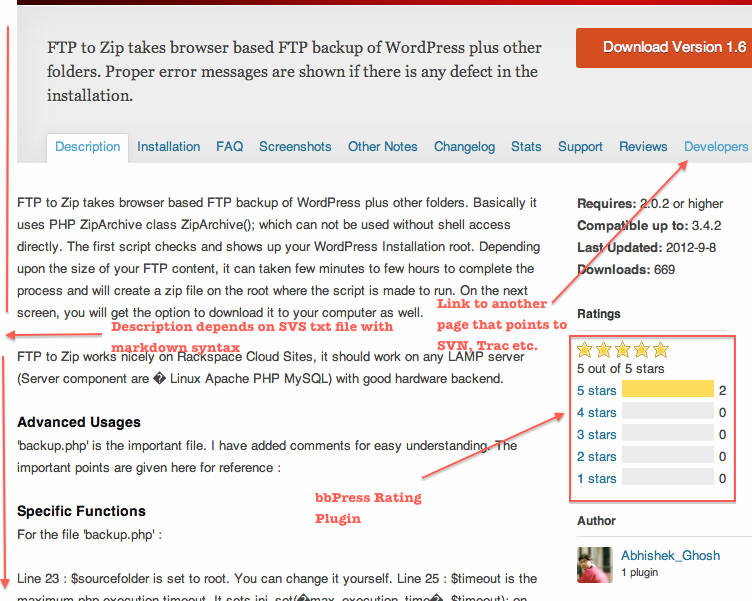 can be added too, that is one of the reason of having higher SERP of the WordPress Plugin pages. This Article Has Been Shared 8119 Times! Cite this article as: Abhishek Ghosh, "Adding a Cloud Based Version Control System to WordPress," in The Customize Windows, December 15, 2012, April 18, 2019, https://thecustomizewindows.com/2012/12/adding-a-cloud-based-version-control-system-to-wordpress/.